The first step toward improving your diet must begin with, “knowing your numbers.” The “numbers” that I am referring to are the number of calories, grams of protein, fat, and carbohydrates that you eat. The goal for knowing these numbers is to help you become a more conscientious eater. Like anything else, practice makes progress. I cannot encourage you enough to keep a food log, even for just two weeks. By food log, I mean a record of EVERYTHING that you put in your mouth. All liquids (yes, water too) and even gum should make the daily journal (comprehensiveness will lead to better accuracy and adherence). Books may also be an excellent source for completing your food log. Hundreds are out there, and should NOT be expensive. You will often be surprised by your daily caloric intake! I was when I kept my own log! 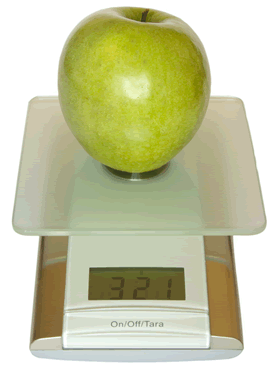 Once your diet is documented, however, we can see where and how to make the appropriate changes, substitutions, etc. I lost eight pounds in the two weeks that I first kept a food log. Studies have proven that they work, and I certainly understand why…conscientious eating. Your surgery will certainly help you, but it is so vitally important to make good choices!